that makes getting ready for the day so easy! just add shoes and accessories. and it is quickly becoming one of my favorites for spring and summer. but classy enough to wear to the office. That's a winner in my books folks! Can't get enough of me today? That's okay because I'm in two places at once! Stop by and say hi over at Work Clothes, I Suppose! Linking up with the beautiful Tara for her What I Wore to Work party, the lovely Agi from Vodka Infused Lemonade and Sunday Style with Plane Pretty! 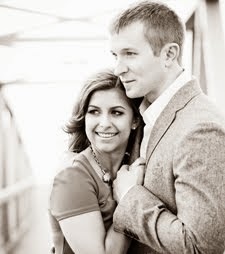 Love the black and white trend and the yellow pop of color is perfect! Love that you added the bold necklace, so pretty! 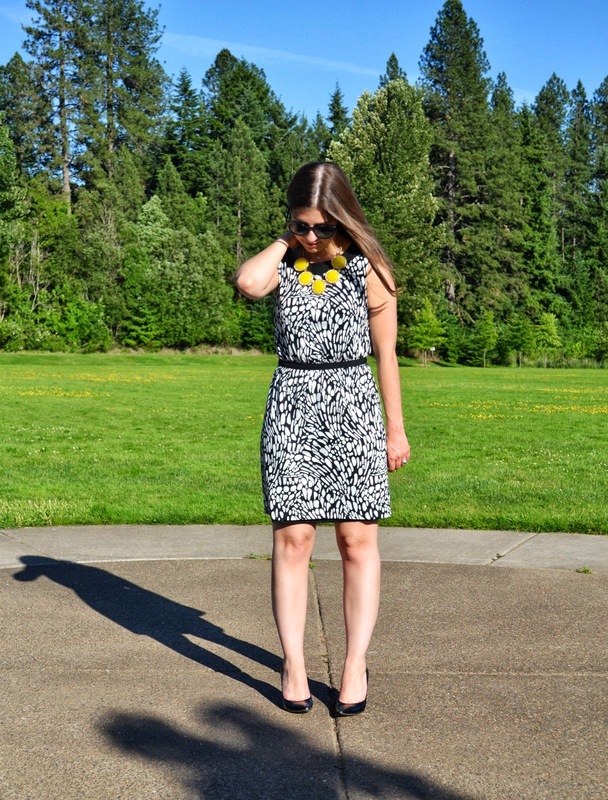 I love this yellow statement necklace with your black and white graphic dress. Gorgeous combination! Lvoe this dress. And that statement necklace is so pretty. Thanks for linking up. Congrats on getting a bbq. I love ours. 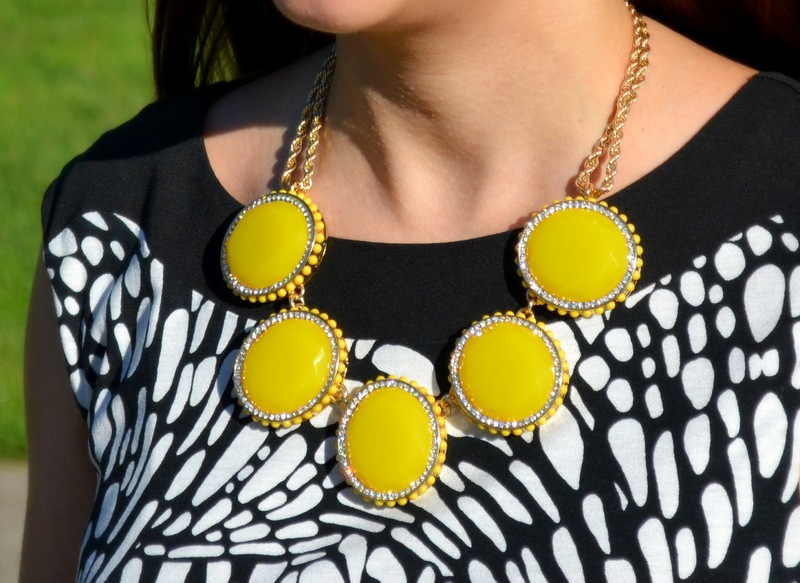 I love how your yellow necklace adds such a bright contrast to the rest of your black and white outfit! I'm loving that necklace! Perfect with the dress! I love that necklace! I'm kind of obsessed with huge statement necklaces lately. 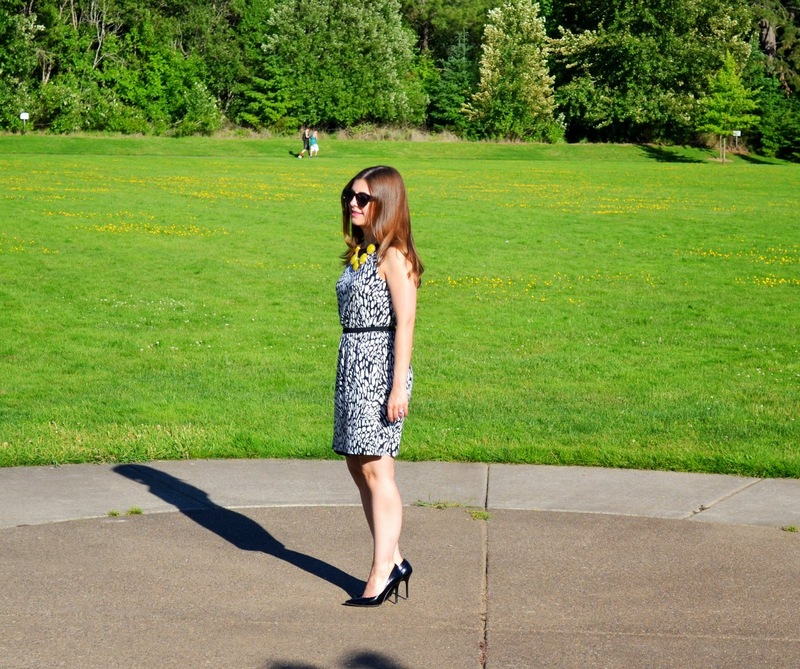 It's the perfect pop of color with that black and white too! Stopping by from Sunday Style.